Home > Uncategorized > Solaris 2019! Solaris 2019 is on its way! Solaris is a 4 day, 3 night camping festival in the forested mountains of Ben Lomond. There are workshops & playshops each day and rituals each night. The small size and inclusive nature of the activities leads to a wonderful sense of Tribal affinity. Hello Nature Lovers. 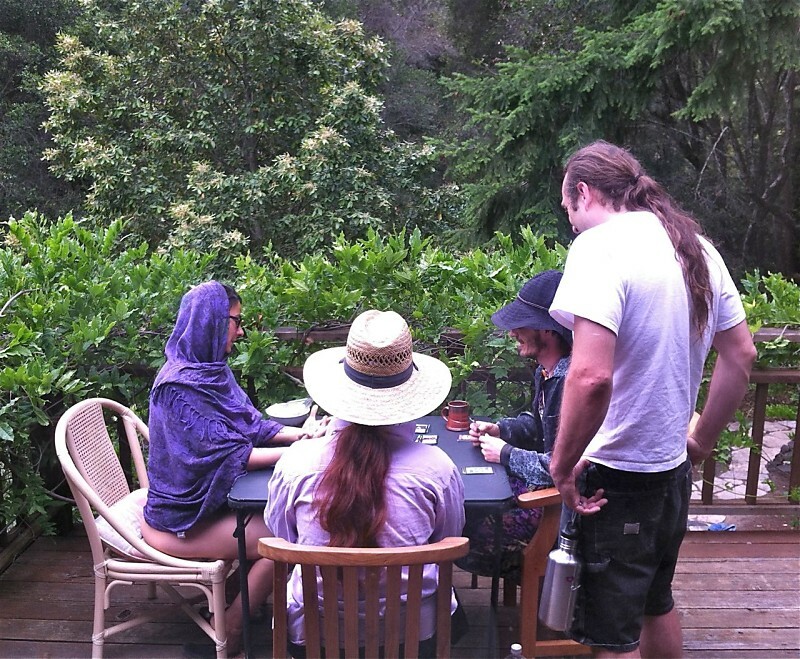 Mark your calendars for the weekend of June 20th-23rd, 2019 and get the days off work now: Solaris is back for another long, leisurely weekend of Deep Play and Spiritual Joy. Sliding Scale Pricing! 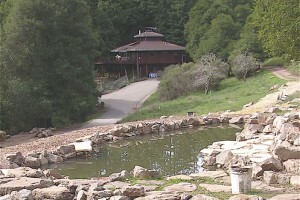 $150.00-$180.00 for 3 nights and 4 days of activities, rituals, fun and pancakes! A community ritual that we all write as a group. The entertaining and moving evening Bardic. Snaps. Hundreds and hundreds of Snaps. Morning gourmet pancakes from the Chef Without Pants. Jigsaw puzzling, dancing, lounging, laughing and on and on. Morning Pancakes and Coffee, from about 6am till 9am. We gather at one of the circles, where we will announce the day and connect as a group. We meet with our Team Leaders for any updates or special instructions. The first set of Work/Playshops. You can attend them or not, your choice! Second and Third series of Work/Playshops. Attendance is still quite optional. Chill if you need to. Dinnertime. You’re on your own again. On Thursday this will be a small welcoming ritual for us all, perhaps with ‘smores to follow. 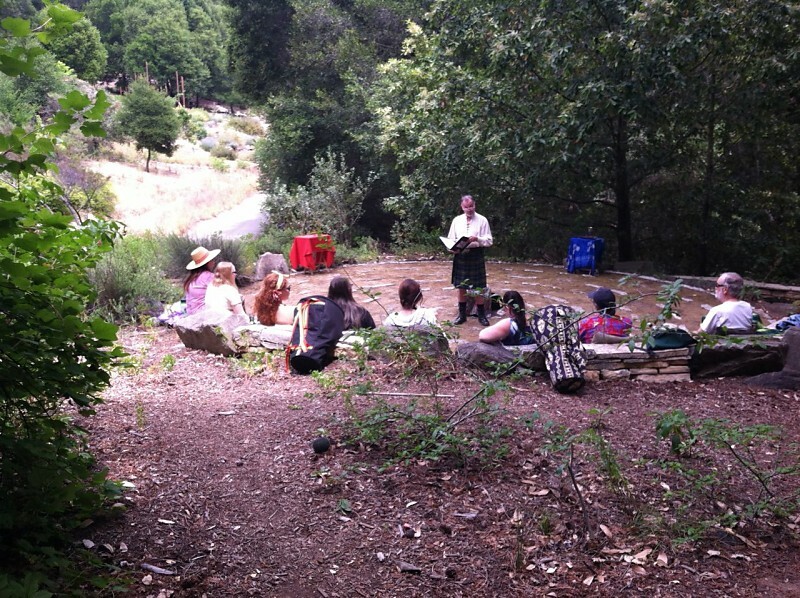 On Friday we will have the BBQ Potluck Social and the Bardic*. Sunday at Noon is the infamous ‘snaps’ closing ritual, and then we all pitch in and clean the place before departing. Variations occur, the unexpected is always welcome, and Eris will be served, but generally that is the way things are supposed to go. *Bardic: Adj. – being a bard or relating to a bard’s poetry; “bardic poetry”. Our Bardic welcomes your poems, dances, songs, and stories. We ask you to keep it to 5 minutes. Sound like fun? Yes! But that’s only the Official Program. There are plenty of….. Hiking. There are miles and miles of lovely, graded trails throughout Earth Matters. See what grand projects Noel and Jody have underway in their beforested valley. The Cold Plunge. And we aren’t kidding. A great shaded area to dip your feet – or your everything! – in. 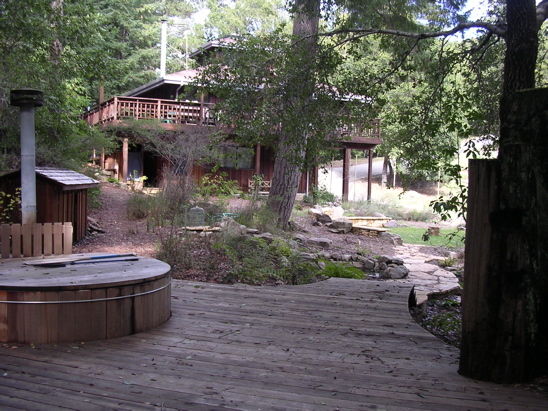 The Hot Tub. Seats 10 or so. But this is not without its quirks as well: It’s wood-heated. The Knitting Minions. Karen and her merry band will be clicking and clacking all weekend. Follow the little bits of yarn and you’ll find them. Bring your skeins, spinning wheel and latest project, or start your first! Bring your acoustic instruments. A jam session is liable to happen at anytime, and is always welcome. Alternately, bring your iPod and take your turn as the Guest House DJ. There may be a brief afternoon “quiet period” from 4p-5p. Stand by the kitchen counter and eat the trail mix all day. Some folks seem spend their entire festival doing this. Napping. Cannot be overrated as an activity. Sun Worshiping. It IS called Solaris after all, and it IS clothing optional. 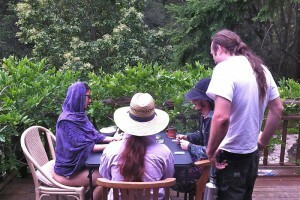 The wrap-around deck on the second floor of the Guest House is prime real estate for this. Central to each day are the Work/Playshops. Building Community. We would like the playshops to be participatory and to help everyone get to know one another more deeply to build that good ol’ community spirit. Think a circle, not a lecture. Developing Leadership Skills. We are especially drawn to those playshops that allow participants to acquire and practice communication and facilitation skills, which will make us more capable leaders in our community. And with only two full days of Work/Playshops, this means that the slots fill up fast. Please understand that we simply may not have time to schedule your Work/Playshop. Then again, someone could be unable to make it at the last minute and we just may need someone to fill in. Stuff happens and we are pretty flexible with regard to changes. So please, APPLY! Please download the Work/Playshop form and let us know how your proposed activity will address our stated purposes. If all this fancy “purposes” talk sounds intimidating, please apply anyway. We want to make Solaris as exciting and enjoyable as possible and, most of all, we want it to belong to ALL of us. So, ALL ideas are most welcome. Download the SolarisPlayShopForm! Ideas like what, you ask? What are you into? What’s your mad skillz? We wanna play!! Housekeeping – will ensure that group areas are maintained in a clean, safe and orderly state. That includes ten toilets, most out on the property. Shifts throughout the day, most of which involve some hiking. Also Housekeeping are the Keepers of the Lost & Found – your misplaced items will be collected in one spot for your retrieval. Sous chef – got knife skills? We have a cutting board waiting for you! Multiple shifts on this one. Drink Maker – make sure the lemonade and ice water dispensers are filled at all times. Snack Filler – keep an eye on the various snacks and gorp, rotate ‘em in and out. Safety Rangers – They roam, help us carry things (maybe even using the mule), find our campsite, and they check for water and sunscreen. Shifts periodically each day, with emphasis on the beginning and end of the festival. 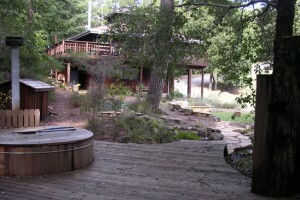 Fire Witches – There is a fire circle, a wood-burning hot tub, an outdoor BBQ, mosquito coils, and tiki torches. Their mission is to start these fires & keep them where they belong. Shifts throughout the day, with emphasis on the preparation for the nightly events. Dishwashers – Soak. Wash. Rinse. Repeat. This team will furnish us with clean dish washing water for each meal time, and assist the Kitchen folk with cleanup. Three shifts available per day, outside, and yes, you will get wet on this ride. Registration – Help greet and orient all of the campers (that’s you!) as they arrive, and make sure you know the basics of what’s going on next. Great place to get some sun, too! Ritual Coordinator – create an appropriate welcoming, plus the Thursday night ritual before the drum & dance jam. Lead the community ritual creation work/playshop. Facilitate the Bardic on Friday night. Create a closing ritual for Sunday. Be super witchy all weekend! Grand Poobah – Be the point person for on-site management, including coordinating with our hosts, leading the morning general meeting, and running hither and yon like your hair was on fire. All Set? Excellent. Let’s sign you up then. And pay attention, because we are continuing to use sliding-scale payment. 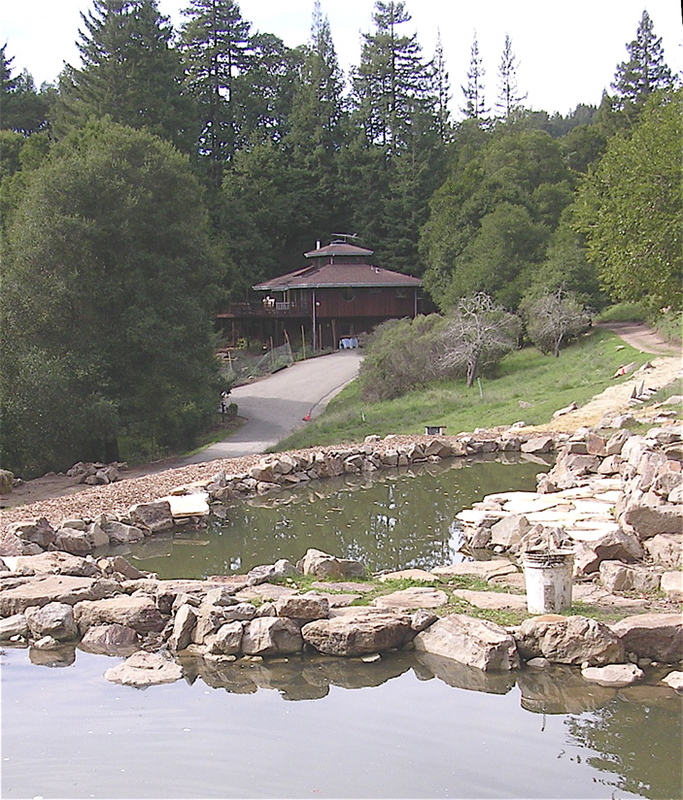 Registration is $150 – $180 for 3 nights and 4 days of camping. For Friday arrival (2 nights and 3 days), we will set you back a mere $140 – $170 (prices rise on May 20th). Also, we cannot offer refunds if the camper withdraws from Solaris within 1 week of the beginning of the festival (the deadline is Thursday, June 14th, 2017). The sliding scale means that for the full registration (3 nights) you may enter any amount between $130 and $160 (or more! If its been a good year for you.). The PayPal button is configured to accept ANY amount, so we are trusting that you can follow these instructions, and we won’t have to make some very embarrassing phone calls to all y’all. For the two night option, please enter any amount between $120 and $150, and TELL US that this is for the Friday Night Arrival. This system has the ability to be very confusing for us, so we are asking you to treat us like 4 year olds and make everything as CLEAR AS YOU CAN. Got all that? Great! Follow the steps below the ‘Donate’ button. This will save Community Seed a little bit of money in PayPal fees (if you remember to choose a “Friends/Family” payment). Please use a separate transaction for each camper. We know it’s a pain, but it REALLY helps us out on this end. Thank you in advance! We’ll contact you from there. Thank you very much for considering our little festival. We would be honored to have you at Solaris.